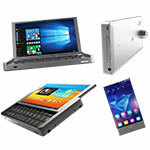 Now with IFA 2015 almost over, gadget fans will move from Germany to the Netherlands, as just a few days from now several Mini PC manufacturers will be at the IBC event at the RAI in Amsterdam, NL. Geniatech will announce there their new Amlogic S905 devices, including the new MyGica ATV1950. 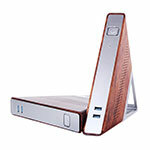 Amlogic S905 looks very promosing with it's 4 64-bit ARM Cortex-A53 CPU's and 5-core (yes, 5) GPU. 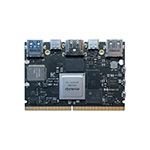 With support for HDMI 2.0 for [email protected] and HEVC H.265 this SoC seems to have it all. 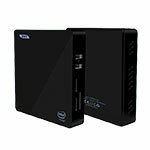 ATV1950 is a new Mini PC wich from the specs appears to be using the Amlogic S905 SoC. Geniatech ATV1950 is not just a "regular" Mini PC as it will feature a 2.5'' HDD bay and dual TV tuner. With the UHD 10-bit HEVC Hardware decoding support, HDMI 2.0 and HDCP 2.2 and dual ATSC/DVB-T/DVB-T2/ISDBT tuner (can record and watch simultaneously), Geniatech ATV1950 does catch our attention. 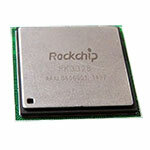 Looks like Geniatech is planning to add more and more multipurpose Mini PC's to the market, good for them! ATV1950 runs Android 5.1 and there's currently no details about pricing, but we'll keep you updated. 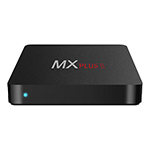 MyGica ATV495 is an entry-level slim Mini PC using the Amlogic S905 SoC. 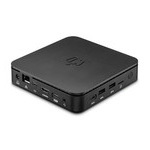 The squared mini PC has just 2 USB 2.0 ports, and a micro-SD slot on it's left side, 10/100 ethenet, CVBS and HDMI 2.0 on the back. 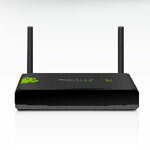 There's no external wi-fi antenna, making the device as compact as it gets. 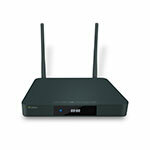 The device does have wi-fi however - 802.11 b/g/n. The device comes with it's own HDMI cable and with an IR remote control. MyGica ATV1826 might not be as impressive as the others due to it's Amlogic S805 SoC with only 1GB RAM and Android 4.4 (unless they will announce a refreshed version, which is possible). 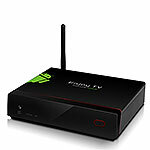 But it does have something special: MyGica ATV1826 is a hybrid box, with DVB-T2, DVB-T2 and DVB-C! Basically it doubles as an ISDB-T/ATSC/DVB-T/DVB-T2/DVB-S/DVB-S2/DMB-TH digital TV receiver, and with it's CVBS/stereo audio and YPbPr connectors looks like it will play nice with older devices you might still have around the house. 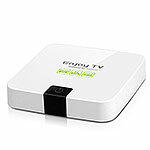 Geniatech will also be showing off their NetTV device, which is acts like a TV tuner, digital TV Streamer, wi-fi repeater and router. MyGica NetTV allows two different users to watch different channels at the same time on their iOS/Android/Windows tablets, streaming the content wirelessly to the local network. 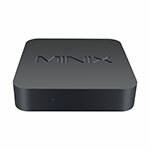 It comes with both LAN and WAN ports, so you can use it as a router as well, and yuou can also use it as a wi-fi repeater if needed. Last, but not least, there's the MyGica ATV1815H device which has a DVB-T and T2 tunner combo and CVBS and HDMI inputs!